Automatic operation as each skid has specified optimum cleaning parameters. The heating is applied in the flow, ensuring economy and flexibility. Phase separation: The CIP system automatically separates the cleaning medium, depending on the medium conductivity. 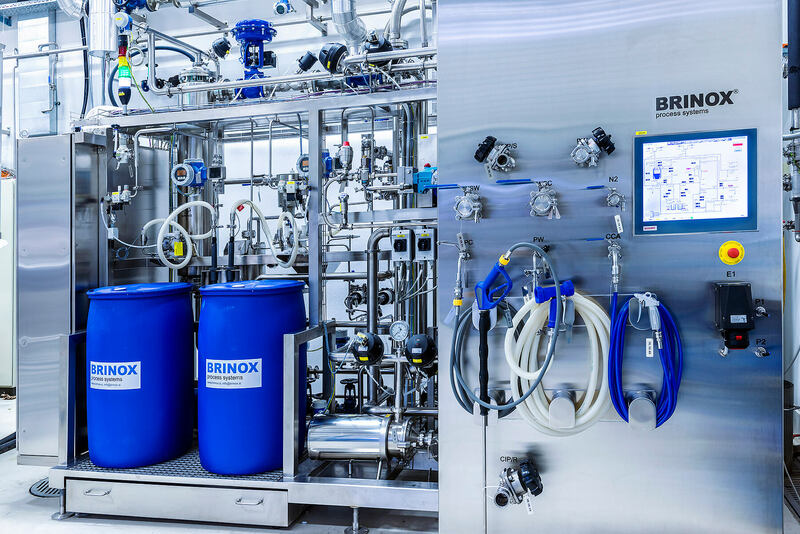 The uniform concentration of washing solutions allows the economic use of the concentrate and prolongs the service live of seals in process systems. Disinfection: system for cold chemical disinfection in the last rinsing water. 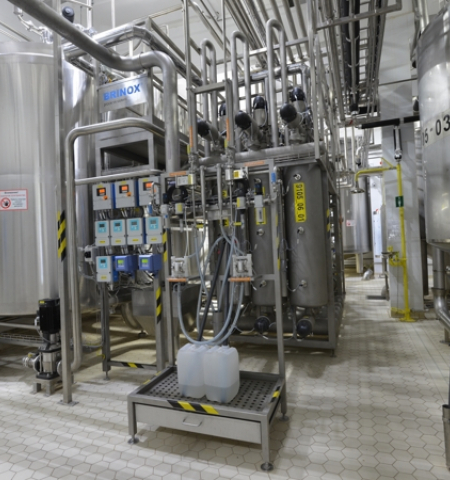 Due to technological needs that require a constant availability of CIP skids we ensure a reliable and precise distribution and dosing of concentrates. concentrate storage in separate rooms depending on safety regulations. © BRINOX d.o.o., 2018. All rights reserved. All downloaded materials remain property of Brinox d.o.o. and can be used solely for non-commercial uses. Brinox d.o.o. endeavors to always provide accurate information but is not responsible for the content within the downloads which is provided for informational and promotional purposes only.